Canon Incorporation is one of the largest multinational companies specializing in the manufacturing of electronics. They produce imaging and optical products such as cameras, camcorders, photocopiers, computer printers, and medical equipment. Their products are of the highest quality and always incorporate technological trends. Their most common product is the Canon camera that has been providing amateur and expert photographers with the right tools to indulge and perfect their creativity and love for capturing moments for over 30 years. Known to manufacture durable and high-tech products, they are one of the most sought-after office electronics producers. The Canon cameras and camcorders are one of the best devices available for capturing and processing images. With great and intuitive ground-breaking technologies, these products have been said to change the world of photography forever, continually being at the forefront of delivery to their users the best cameras at the best prices. As a beginner in photography, you can start with any of the Canon entry-level Digital Single-Lens Reflex (DSLR) cameras. They are specially designed to help you get accustomed to photography setup with a simple guided user interface, longer battery life, and you can upgrade the lenses as you progress. At whatever level of expertise you find yourself, you can be sure Canon has a perfect fit for you with increasingly amazing specifications that give you your money’s worth. They also produce a wide range of professional video solutions including the broadcast lenses, cinema EOS, cinema lenses, reference displays, and projectors. Canon produces a wide range of home and office printers, photocopiers and other supplies. They are popular for their smooth and durable operability, typically printing large jobs with almost no jams, as well as their simple and easy-to-use interface and systems that allow easy access for simple maintenance. With technology developed to keep the products ready to use immediately after starting them up, they are amongst the easiest and fastest products to use. Canon provides comprehensive printers and scanners solutions for all professional environments, in the monochrome or colour mode. They also have the multi-function printers that simplifies all your paperwork and maximizes production. 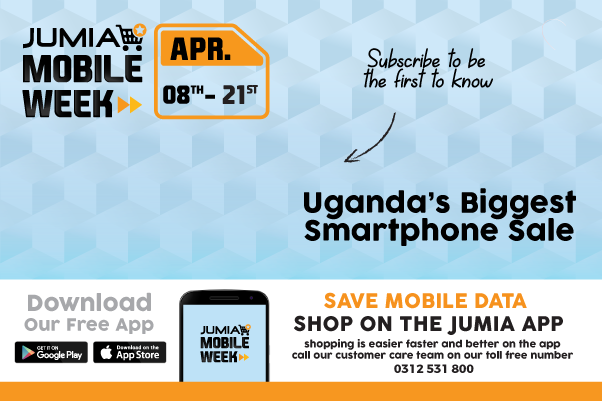 Shop your favourite Canon electronics and accessories like the network scanners, printer ink, cartridge, and much more on Jumia Uganda at the best prices around, choose either to pay on delivery or use any of our safe and convenient payment methods and have your goods delivered to your preferred location.